Spain’s leading trade union federations are calling special attention to the huge gap in pensions benefits between men and women, with a just-released study showing that women in Spain receive nearly 40 percent less in benefits than men on reaching retirement age. Both the Comisiones Obreras (CCOO, Workers’ Commissions) and the Unión General de Trabajadores (UGT, General Union of Workers) have agreed to join in the national 8th March Huelga Feminista (Feminist Strike) with two hours of work stoppages to protest the pay gap in Spain between men and women. Studies based on the most-recent available figures show that women in Spain earn on average 14.9 percent in hourly wages and 22.9 percent less in annual take-home pay than do men performing the same work. But the unions say the inequality increases to more than 37 percent on average once women and men retire and begin receiving pension benefits. To protest the pension-gap inequality, the CCOO and the UGT say they will be organizing a series of marches and protests across Spain over the coming weeks to protest the gap in retirement benefits, beginning this week on Thursday in front of government sub-delegations in the five provincial capitals of Castilla-La Mancha and in Toledo in front of the Social Security Treasury offices. 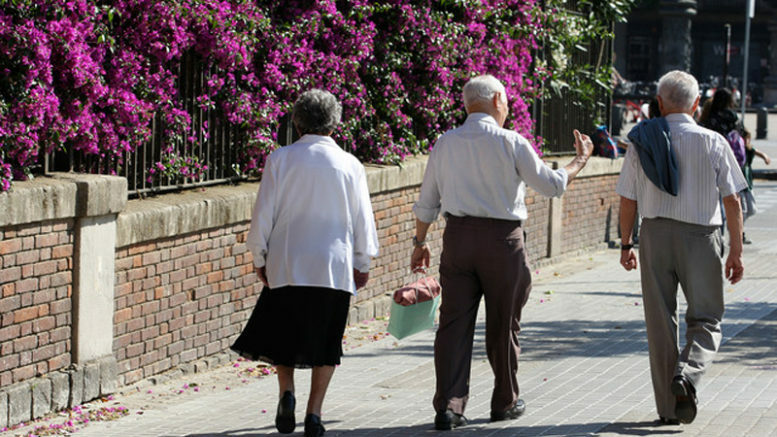 According to a study released this week by the UGT’s Deputy Secretary-General Cristina Antoñanzas, women pensioners receive on average 452 euros less per month than do men, with a monthly average pension payment for women in Spain of 768.54 euros compared to 1,220.65 euros for a male pensioner. The pensions gap ranges from 31 percent in the least of the cases, what is known as the “general scheme” of pensions, to as much as 46.23 percent in the special regime that regulates the pensions of workers in the maritime industry.